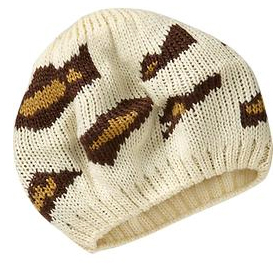 Throw this little leopard print beanie hat on to look up-to-the-minute stylish and keep the dead-of-winter cold at bay. Old Navy??!! Love it, may have to run over there today as this little hat would bring me lots of joy!! Thanks for the tip.